Kerri-Anne is currently on Maternity Leave. Kerri-Anne works from our North Walsham office and qualified as a Private Client solicitor with the firm in November 2016. Kerri-Anne joined the firm as a paralegal in October 2014 and has previous experience in Commercial Law, Corporate Law and Conveyancing. Having graduated from the University of East Anglia with a 2:1 Law Degree, Kerri-Anne continued her legal education at BPP in London and achieved a distinction in her Legal Practice Course. Kerri-Anne then came back to her Norfolk roots to begin her legal career. 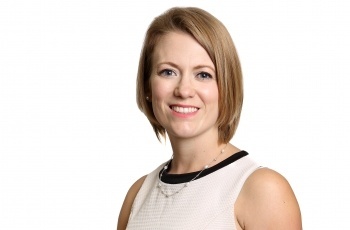 With both a commercial and private client background, her business acumen and approachability, Kerri-Anne is able to assist and understand the needs of both individual and business clients alike. Outside of work, Kerri-Anne is an active member of her local community, being a trustee for her village community association and a committee member for an amateur dramatics group. Kerri-Anne also has a young daughter and she enjoys spending time with her family on the Norfolk Broads. The Legal 500 United Kingdom 2017's guide to outstanding lawyers nationwide recommends Wills, Trust and Probate lawyer Kerri-Anne Watson. When Kerri-Anne took over my enquiries she handled everything brilliantly. She kept me informed on a week/bi-weekly basis and was very informative. Many thanks to Kerri-Anne.